On 18th of April 2019 “Heinz - the Movie” wil premiere in the Netherlands. It’s an animated feature film that I was involved with during it’s early storyboard stage. It is based on the Dutch cartoon by René Windig & Eddie de Jong. Piet Kroon directed and Bosbros and Submarine produced in The Netherlands. Fabrique Fantastique produced in Belgium. Here is a selection of my work as stroy artist. You can find more on my storyboard page. After it’s festival run it was time to put my film online for everybody to see. 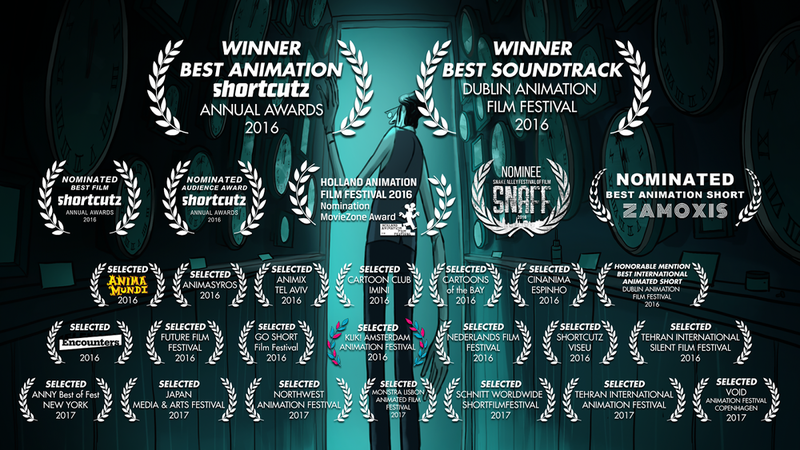 Here are the festival selections, special mentions and awards it received. Animation test for a short animated film directed by Jöns Mellgren based on his book "Elsa and the Night". It's a very moving tale about grief and acceptance. An animated piece made for Sesame Street. The poem was written by Floortje Schoevaart and the read out by Aart Staartjes. Exploratory sketches for a 2d animation job. Another Dutch Sesame Street animation. The poem was written by Ben Kuipers and the voice is by actress Lot Lohr. 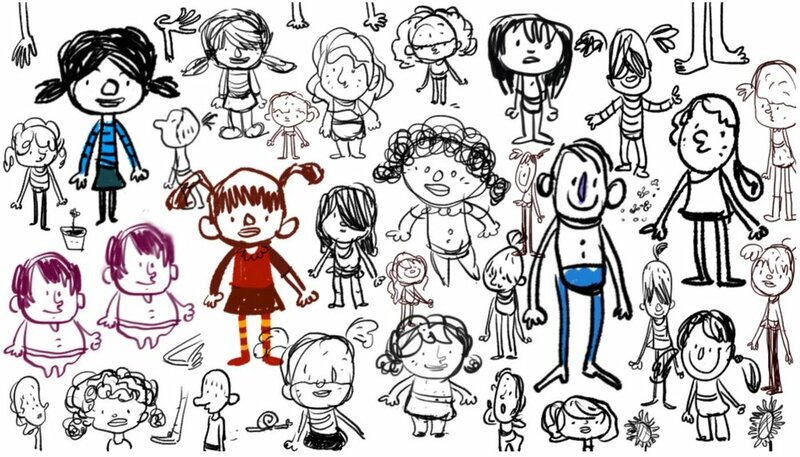 Here are some explorations I often do when I try to figure out the characters. And some work-in-progress versions; moving storyboards and rough animation. This is a selection of illustrations I made for Franconville. An educational program that was set up by ThiemeMeulenhoff to teach Dutch kids French language and grammar. Some years ago I had the great honor of working under the direction of Joanna Quinn at her studio -Beryl Productions- on one of their animated commercials. This one was for Charmin Toilet Paper. I did the rough animation after which the crew at Beryl took over to do clean-up and rendering. All this was done on paper and cells back then. Two commercilas I animated for Zwitsal. An animated short for the Dutch version of Sesame street. The poem is by Theo Olthuis. Character design for Dutch telecom provider KPN. The main purpose for this character was to help their clients and customers find their way through their services and products as well as to help the client, either through animation, stills or illustrated print, work through the manuals and setting of KPN's telecom products. For Factor 15 (a magazine for employees of the Dutch Ministry of Security and Justice) I illustrated an article about the recent computer woes that the workers have been experiencing.